Who called it Nemo anyway? 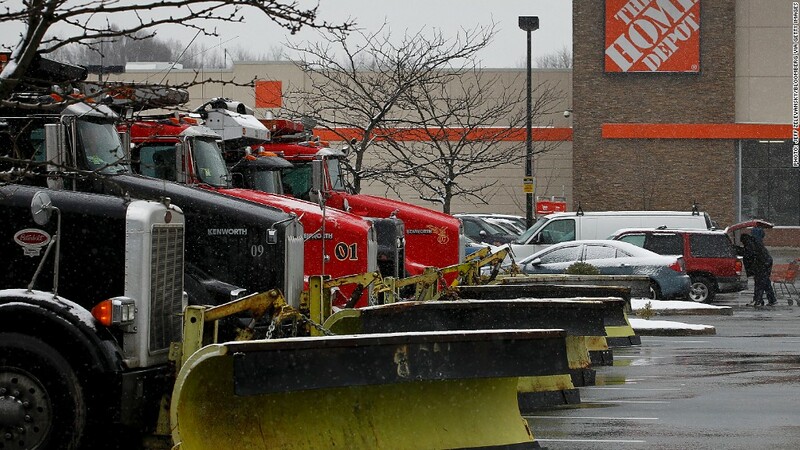 Snow plows sit in the parking lot of a Home Depot in Vauxhall, N.J., preparing for what has been dubbed Winter Storm Nemo by The Weather Channel. This weekend's big snow storm has one thing no other major winter storm has ever had -- a brand name. Last year, The Weather Channel decided it would start naming winter storms. The idea was to draw more attention to storms and get people to prepare, according to Bryan Norcross, senior executive director of weather content for the company. Since this storm is hitting heavily populated areas, the Nemo name is getting much greater attention than the 13 smaller winter storms that came before it this year. Anyone remember winter storm Brutus? A spokeswoman for the National Weather Service, which names tropical storms like hurricanes, said the agency has no position on the Weather Channel's decision to name winter storms. In case you're curious, the name Nemo, like most of the other names in the 26 picked for this year, is meant to harken back to Greek or Roman mythology, not the Pixar-Disney (DIS) movie "Finding Nemo." And no, the network does not intend to sell the storm naming rights to the highest bidders. The Weather Channel is owned by a consortium that includes Comcast (CMCSA)-unit NBC Universal, Blackstone Group (BX) and Bain Capital.